Webster’s Unabridged: Vortex n. ... 5. drawing into its powerful current everything that surrounds it. while working on the Key to Uncle Tom's Cabin, prior to first of 3 travels to Europe. Prior to 1800, significant Ohio River ports were Pittsburgh, Wheeling, Maysville (then Limestone, the name of the Creek there), and the "Falls of Louisville"- only passable in spring high water. From Limestone, the buffalo could ford the shallow Ohio north (as does Eliza), or trample the high ground southwest providing "traces" (passages) across the high bluegrass region atop the Cincinnati Arch, through otherwise densely vegetated KY interior. Contended by indigenous, predominantly Iroquois, EuroNewbee colonization of Kentucky sprouted south of Lexington, the southern bluff of the Arch around which bends the Kentucky River draining the southern KY Appalachians. 1788, commissioned by NJ John Symmes, John Filson blazed the trail over the spine of the elephant Arch, to the descent cut by the Ohio River, founding LosAntiVille (City across from the os of (salt)Licking River), where the buffalo dont cross. On Filson's trail were developed the Dixie Highway (U.S.25) / Southern RailRoad / & I-75 -- over the high ground (dry ridge) - now: central artery of the most populous, eastern region of North America. 1788 November, soon after Filson notched trees defining the existing downtown street grid, he met uncertain demise, and Symmes changed the name to Cincinnati. The civic and moral contributions of Harriet's family, augmenting geology and geography, are foundational in our abiding confidence in this great city -- a final refuge in global warming, and sociologically formative host of the enduring phenom Harriet Beecher Stowe, 7th child of the New England marriage of Lyman Beecher and Guilford, CT school teacher Roxanna Foote - 1799 beginning a family across Long Island Sound in East Hampton. Roxanna’s older sister Harriet, our Hatty’s Aunt Harriet, was eldest of Roxanna Foote's sibs; a strict Episcopalian in contest with Lyman Beecher's Calvinistic focus on temperance and conversion, albeit within New School Presbyterianism (anti-slavery; Congregational Church affinity, cooperative missionary efforts with other denominations, and evolutionary beyond the intransigent doctrine of the Old School). #4 Mary who married a CT lawyer and raised a family in Hartford. Birth #5, named Harriet, tragically died within a month, in Roxanna's first honor of her older sister. #7 - Harriet Elizabeth born in Litchfield, CT (1811 June 14 - 1896 July 1), became the vortex in the formation of these United States of America. We celebrate our Harriet's birthday each year near June 14, at the Harriet Beecher Stowe House Cincinnati, on the eastern eminence at the new I-71 interchange with Martin Luther King Drive! #8 Henry Ward -- who outDid his Pa: the nation's preacher presiding at the celebration of the end of the Great War at Fort Sumter, where the War began. 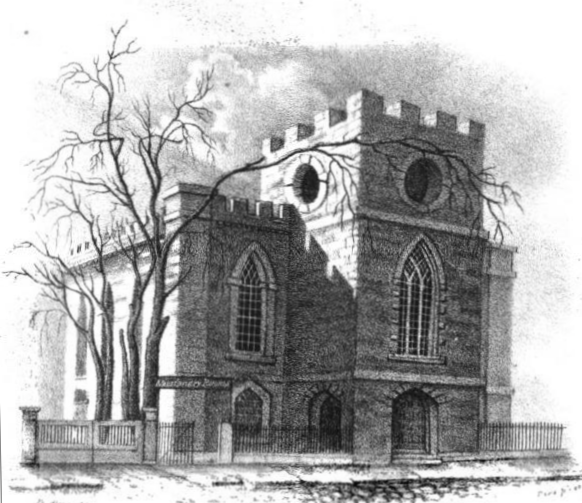 As he spoke, john wilkes Boothe pulled the trigger on Lincoln who attended Plymouth Curch ministered by Henry Ward; the church continuing today in Brooklyn. #9 Charles -- steadfast musician / minister - traveled with Harriet in 3 European tours; married Samuel Clemens whose Hartford mansion adjoins Harriet's final home, indicative of close ties among the families of the 2 leading authors of the 19th century. John Parsons Foote (1783-1865) perhaps developed business acumen in New York and/or England before arriving in Cincinnati circa 1819, quickly rising to eminence among Cincinnati’s leaders when Cincinnati was declared a City. See link below. Samuel Edmund Foote (1787-1858) at 18 captained his first ship - iterating to the world-leading 2000 ton Fabius - the product with 2 other partners: financier Peter Harmony (Ximenes anglicized /of Cadiz, Spain) of NY, and Henry Eckford, NY, retiring from building U.S. Naval vessels, lastly the USS Ohio in 1820, enduring 63 years the model for the Navy's largest - 74-gun frigate. Samuel engineered the rigging of Fabius, refined in his experience trading across the Atlantic and West Indies. This trading was the basis for his wealth he brought to Cincinnati, and previously amusing his favorite niece Hatty, waking through bed curtains of exotic birds gifted from uncle Samuel, who also provided novels not permitted in Lyman's house, as well as reports of a more eclectic world than young Hatty witnessed in CT.
Fabius enabled 2 successful ventures captained by Samuel to the exotic Pacific around violent waters of Cape Horn up to Lima, Peru - enduring piracy and forestalling mutiny. Retiring from the seas, to marry in 1827, Samuel joined brother John in Cincinnati. Beyond his real estate development, his first challenge was to breakUp the 43-year-old political logJam finally allowing continuous shipping over the Falls of Louisville, accomplished 1830, enduring today as the Louisville - Portland Canal facilitating riverboat commerce to St Louis and the world. (Portland, the original name of primary waterfront adjacent north of Louisville). Samuel Foote’s grand mansion at 3rd & Vine up to 4th St towered over the 8 rented offices at the 3rd St sidewalk known in the 1830s as "Foote’s Row". The mansion was the social center for Cincinnati leaders, regularly hosting the Semi-Colon Club which embraced Catharine and Harriet and Cinci's literati contributing to the ascension of the booming Queen City of the West, at the unbroken national artery, Ohio River > and now the merging/crossing arteries I-71/75. After Hatty's mother died, Reverend Beecher re-married another Harriet - Porter of aristocratic Boston (her uncles: Cyrus US rep/MA, William Gov/Me, Rufus US senator/NY, ). In Litchfield, Harriet Porter bore 4 more children, comprising Hattie's step-sibs, less the first born Frederick, who died at 2. Nationally significant suffragist Isabella, and younger Thomas and James, also noble ministers. In world-famous Litchfield Female Academy established by Sarah Pierce (1767-1852), next-door to Beecher's church and home, Hatty followed her sisters and brothers in primary education. 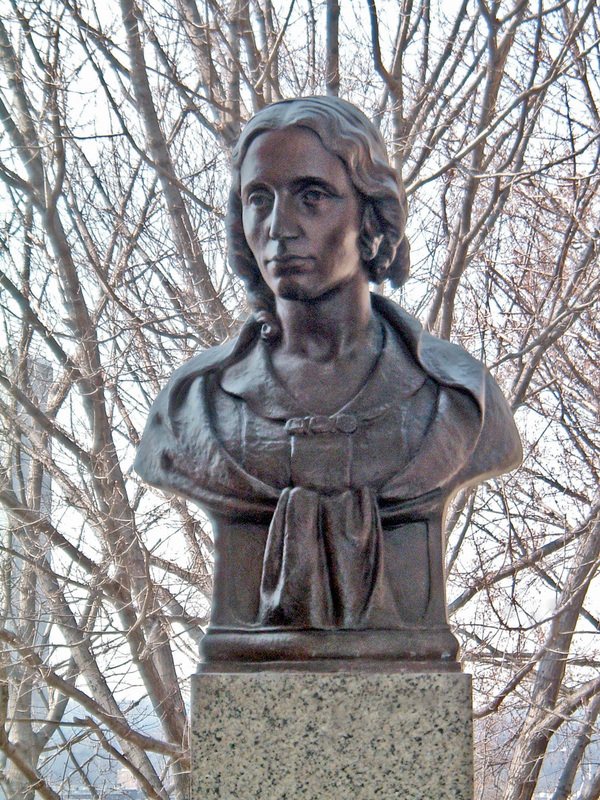 Her once-engaged / never-married oldest sister Catharine (1800-78) - nationally esteemed - established the 60-year-enduring Hartford Female Seminary where Hatty acquired higher education prior to teaching there 5 years before her move west. A rising star, like the Billy Graham of our day, Lyman Beecher attracted the attention of New Yorker abolitionist Arthur Tappan who in 1826 financed the Beecher family move to Boston where Beecher preached to the world from the Hanover Church until it tragically burned in 1830, whereupon the congregation moved with Beecher to the Bowdoin Street Church on Beacon Hill. Tappan again financed the Beecher family move from Boston arriving Thanksgiving 1832 in Cincinnati. In the following summer, Tappan, with William Lloyd Garrison (in Beecher’s Boston congregation) presided in Philadelphia in the first convention of the American Anti-Slavery Society. Lyman Beecher was called to preside at the new graduate level Lane Seminary. Undoubtedly he was encouraged by Roxanna's brothers, John and especially Samuel who, newly married, retired from Fabius to settle in Cincinnati 1828. In Cincinnati Catharine established on 4th Street the Western Female Institute where Harriet taught. Due apparently to Catharine's illness, concurrent with Harriet's new motherhood of twins, the Institute closed in the Panic of 1837, whereupon Catharine subsequently established such academies in Iowa, Illinois and Wisconsin. only 4 bore children. Here is a brief on the significant 4, including (youngest) George. 1842 John Foote attended former President, current Congressman John Quincy Adams, visiting the inaugural celebration of the Cincinnati Astronomical Observatory engineered by Ormsby MacKnight Mitchel. Foote may have authored its Constitution. The name of the Hill was changed to Mount Adams. Fort Mitchell, KY is named for O.M. Mitchel.